Through Technimark University, our comprehensive in-house training program, motivated employees are given the opportunity to learn the latest trends and skills, paving the way for future success and advancement. The journey requires a great deal of commitment from both the employee and their personal support systems of spouses, family, friends and colleagues. This year, we’re proud to recognize our graduates for their hard work and accomplishments in completing the Technimark Tooling Apprenticeship program. With over 930 in-classroom training hours at Randolph Community College (RCC) and a minimum of 8,000 on-the job training hours, the six graduates obtained the Tool & Die Maker Degree. 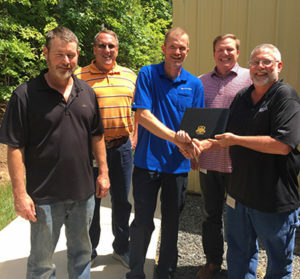 Their dedication was celebrated at a gathering of family, colleagues and Technimark leadership on June 1st where they were presented with a North Carolina Journeyman Tool Maker Certification. 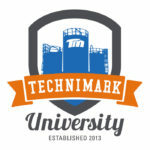 Since its inception in 2013 by President and CEO Brad Wellington, Technimark University has recognized 24 gradu­ates within the five degree areas of Tool & Die, Maintenance & Automation, Lean Six Sigma, Scientific Mold­ing and Management. Please join us in congratulating these incredible individuals! ← Technimark. PACK EXPO. A perfect fit.